A second Austin Police Department officer has sued Ford for negligence, alleging the company failed to fix a known issue with its Explorer Police Interceptor SUV, which leaked carbon monoxide that poisoned the officer and resulted in nerve damage. Back in July, the Austin police department pulled its fleet of Ford Explorer Police Interceptors from patrol following at least seven cases of officers suffering from carbon monoxide poisoning and exposure. At the time, CBS reported similar incidents and lawsuits from over half a dozen officers from various police departments. Chase said the Austin police cases are two of the roughly 30 he has across the country stemming from reported Ford Explorer-linked carbon monoxide poisonings. The lawsuit also lists seven other businesses as defendants; Johnson Ford of Austin, Texas, Silsbee Ford of East Texas, and the remaining five are as-of-yet unnamed. The suit alleges that these companies, along with Ford, failed to effectively fix the vehicles. Hancock claims he became ill after patrol in his Police Explorer on July 21 of this year, and was hospitalized with carbon monoxide poisoning the next day. The lawsuit alleges that a bulletin to dealerships from Ford describing exhaust smell entering vehicle cabins is proof that the company has been aware of the dangerous emissions issue since at least December of 2012. In response to over 2,700 similar complaints since the current Explorer model’s introduction in 2011, Ford has not yet officially issued a recall for the Explorer model, but has offered to “fix” approximately 1.4 million Explorers if the owners wish to have them inspected. The fix supposedly prevents exhaust leaks. 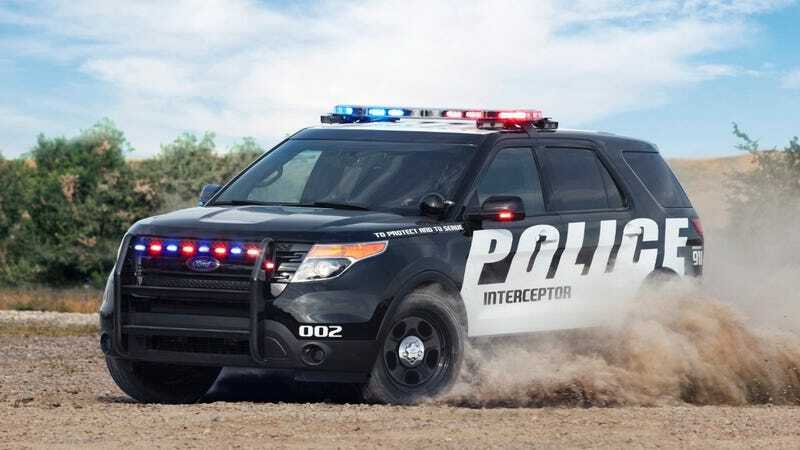 In the same report from Friday, a Ford spokesperson also assured Jalopnik that Austin’s Police Interceptor Explorers are being put back into service after repairs, but did not clarify if any were already back in service, nor a clear time frame for any outstanding repairs. The National Highway Traffic Safety Administration issued a report back in July that listed cracks in Explorer model exhaust manifolds as a potential source for the carbon monoxide exposure. Jalopnik has reached out to Ford about the new lawsuit and this post will be updated with any new information. ﻿We do not comment on pending litigation. We appreciate the Austin Police Department’s collaboration with our team to repair their Police Interceptors and are glad their vehicles are returning to service. During the course of our investigation and repairs, we found unsealed spaces that were the result of police equipment installed after leaving Ford’s factory. The methods and parts we’ve utilized to repair Austin’s vehicles have worked well to reduce the concern.